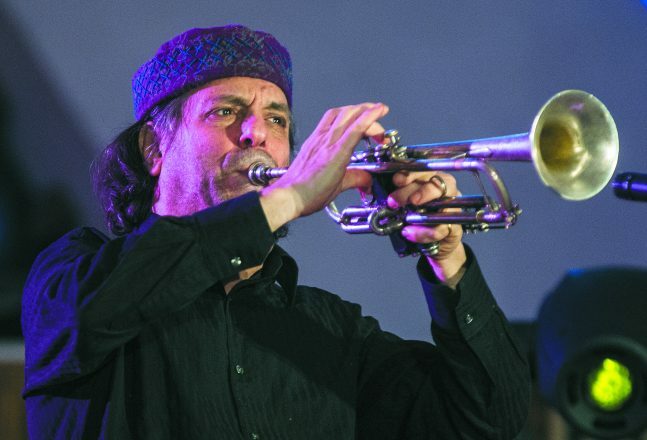 Klezmatics trumpeter Frank London backs up a niggun. 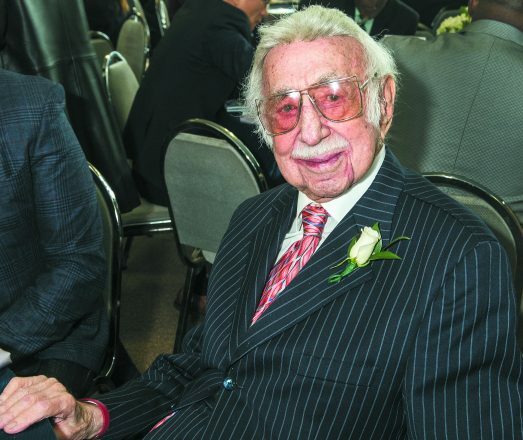 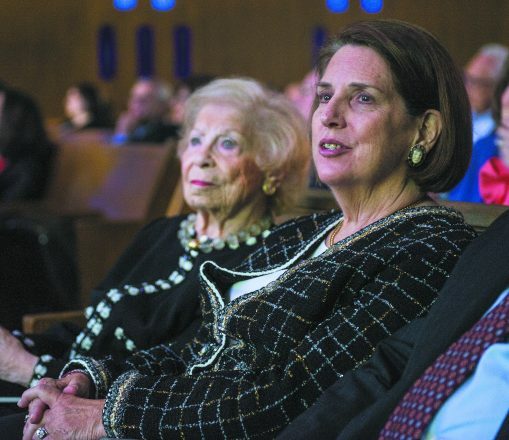 More than 800 people celebrated the 75th anniversary of the Jewish News and honored the Davidson-Gerson-Wetsman-Saulson family as exemplars of multi-generational community leadership May 3 at Congregation Shaarey Zedek. 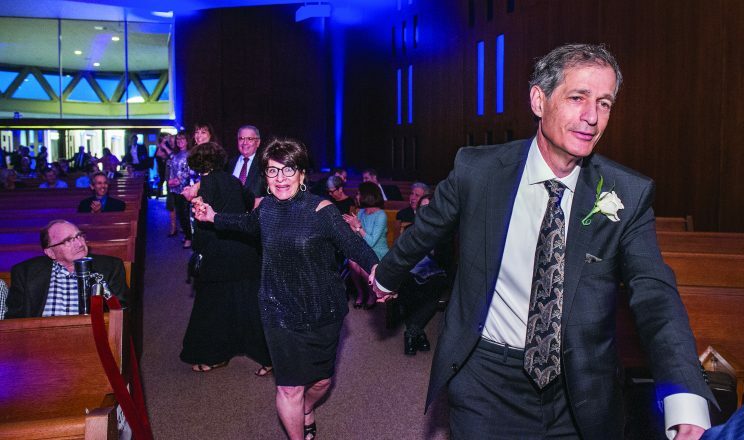 The Grammy-winning Klezmatics brought the crowd to its feet with its rollicking music. 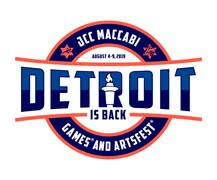 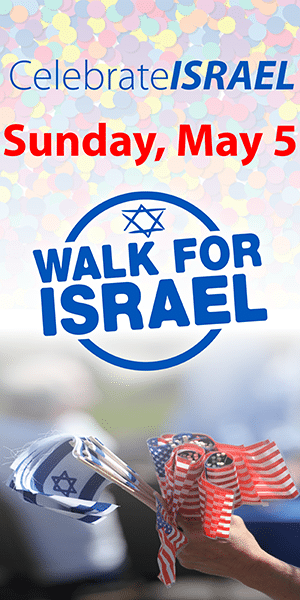 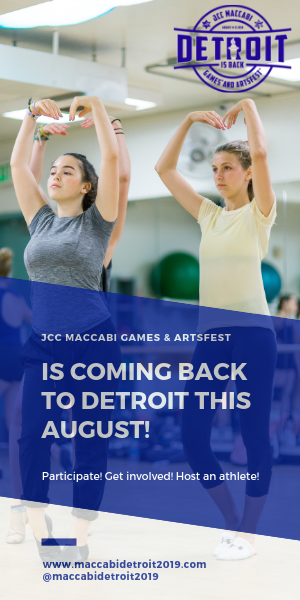 Proceeds from the event benefited the independent nonprofit Detroit Jewish News Foundation. 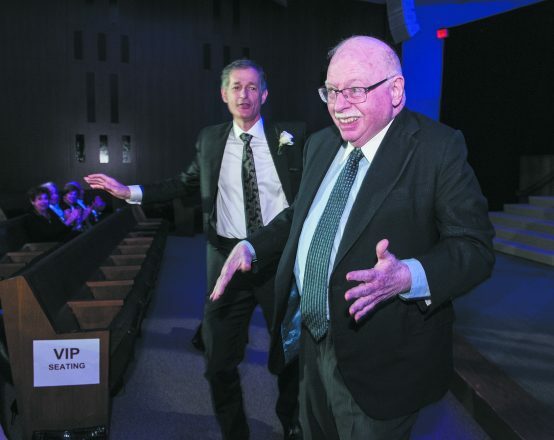 Dancing to the music — Chair of Detroit Jewish News LLC Michael Steinhardt, right, and JN Publisher and Executive Editor Arthur Horwitz. 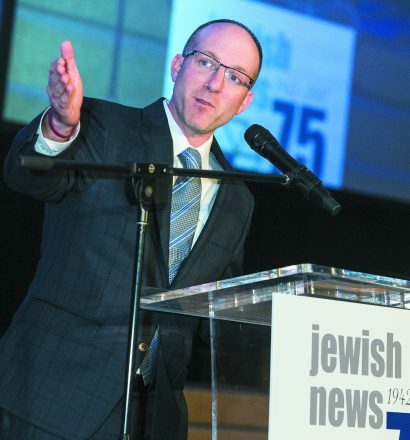 Rabbi Aaron Starr of Congregation Shaarey Zedek shares words of wisdom and welcome. 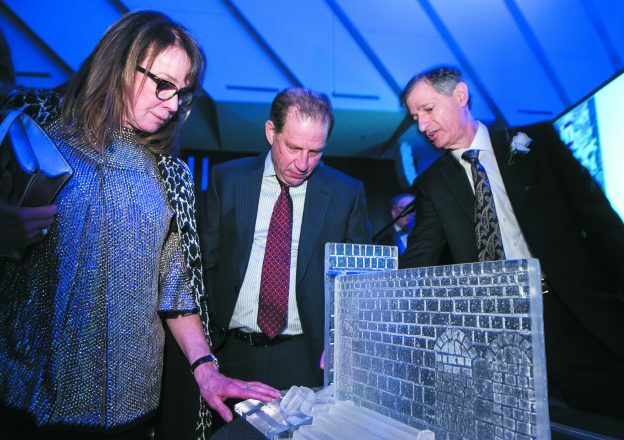 rthur Horwitz shows Karen Davidson and Arn Tellem the gift to the Davidson-Gerson-Wetsman-Saulson family. 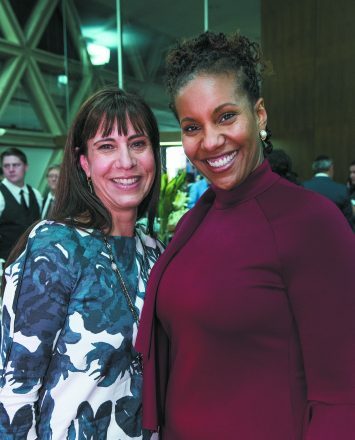 Michele Saulson with Dr. Tonya Matthews, CEO of the Michigan Science Center. 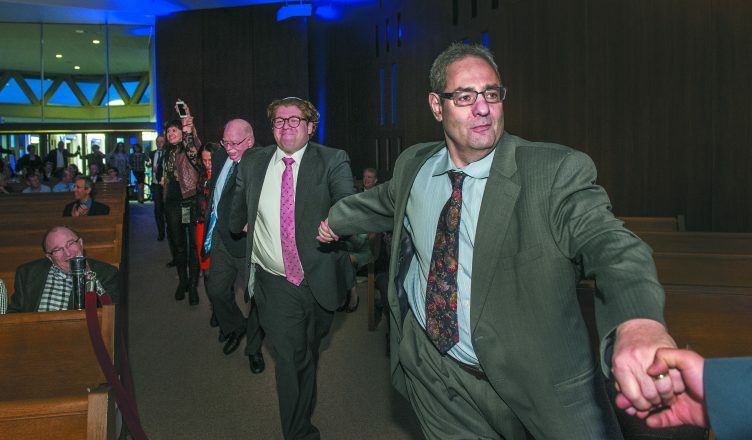 Dancing to the Klezmatics in the Shaarey Zedek sanctuary are, from front, Michael Ingber of Oak Park, Manny Menchel of the William Davidson Foundation and JN Chair Michael Steinhardt. 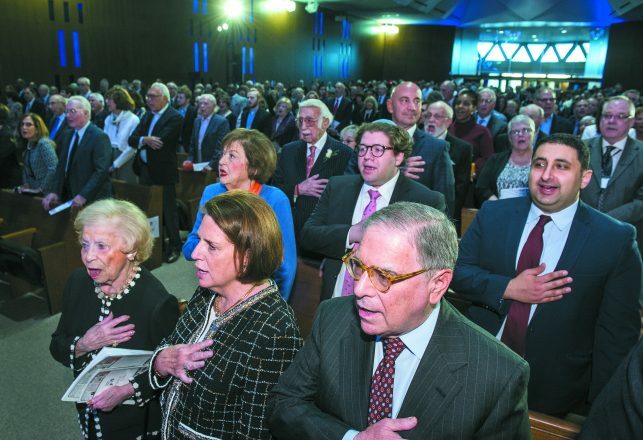 Dottie, Erica and Ralph Gerson participate along with more than 800 others in the National Anthem. 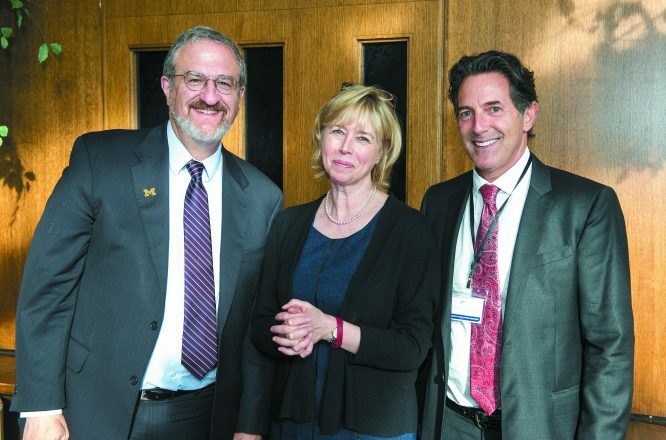 University of Michigan President Mark Schlissel and Barbara Ackley, U-M assistant vice president for leadership gifts, international giving and engagement, stewardship and presidential development activities, with DJN Foundation Board Member Mitchell Mondry. 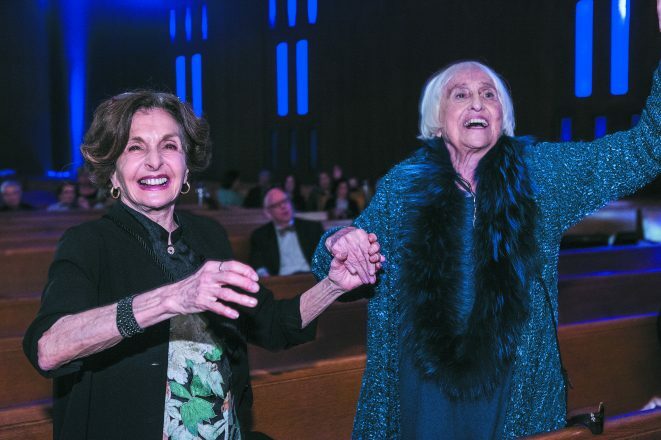 Henrietta Hermelin Weinberg and Harriet Berg enjoy the music. 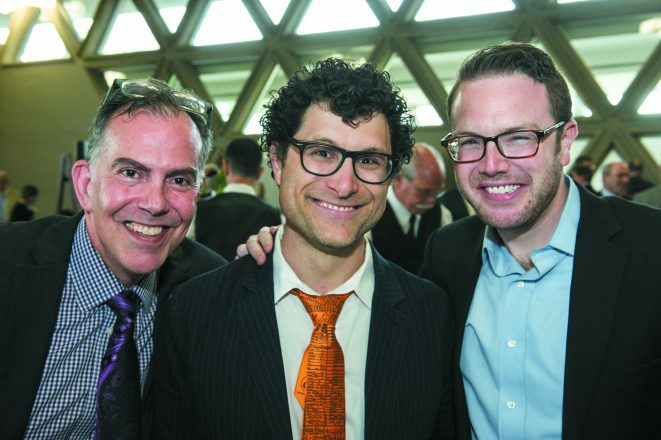 Ron Elkus, Ben Falik and Hy Safran. 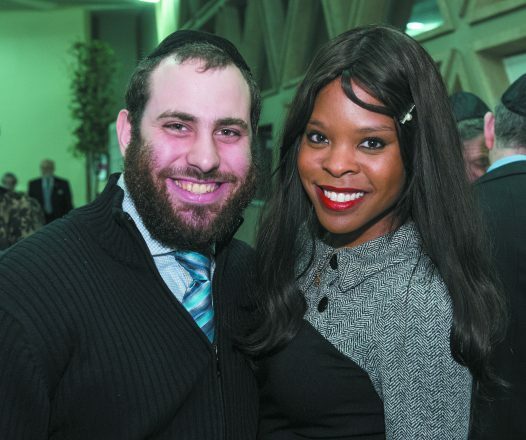 Aryeh and Aliza Bracha Klein. 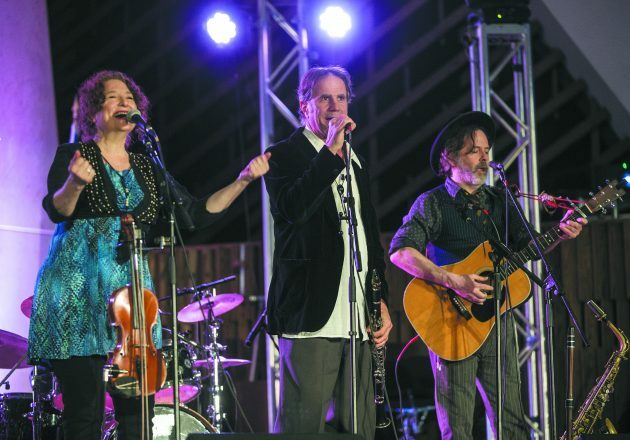 The Klezmatics’ Lisa Gutkin and Matt Darriau with special guest performer Ethan Davidson.